1Crush the ice and blend with ice cream, banana, chocolate milk in the blender until smooth. 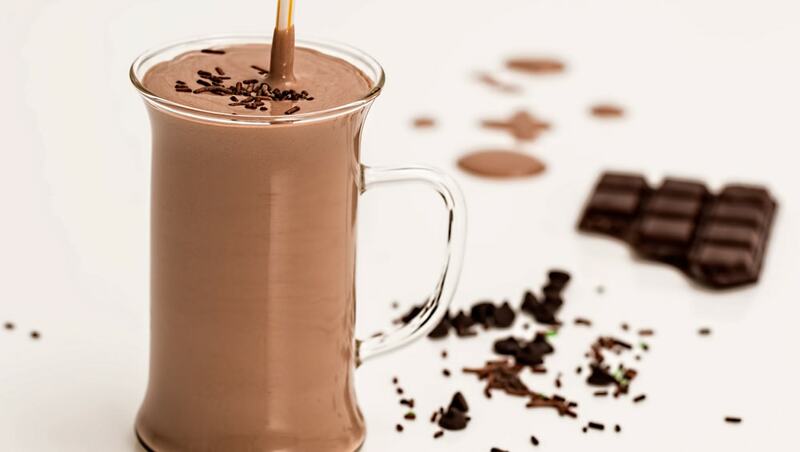 2Decorate the inside of a tall glass with chocolate sauce streaks. 3Pour the smoothie into the glass. 4Dust top with cocoa powder.